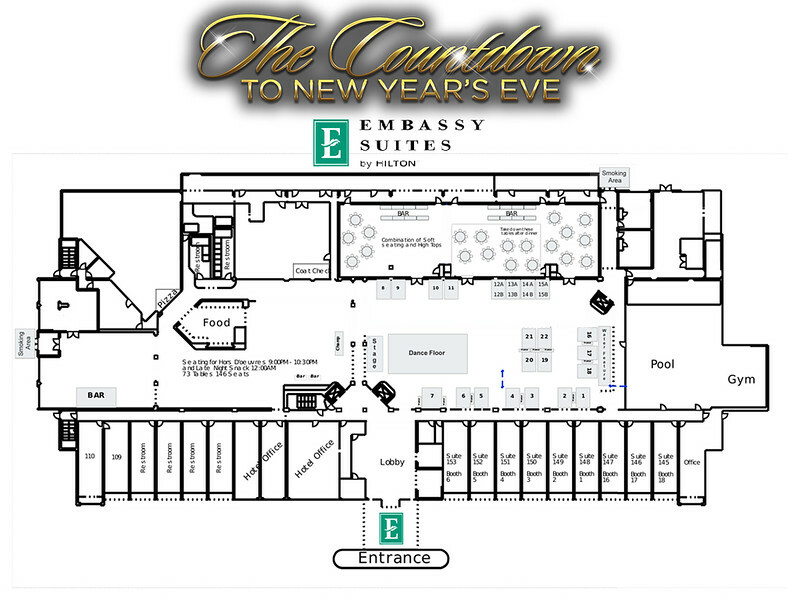 Ring in 2019 at THE COUNTDOWN… Voted Best New Year’s Eve Hotel Party by the Detroit Free Press! This event sells out every year! Since 2010 The Countdown to New Year’s Eve has been an unforgettable celebration hosted in Oakland and Wayne Counties. The exclusive Embassy Suites Novi/Livoniai will host this year’s big event with party-goers from all over Southeast Michigan… Don’t Miss the Party!! Detroit's Hottest DJs spinning until 3am featuring Chuck D from 98.7 AMP Radio, Knuckles, Forella and more!